I’m in a Meme-catch-up mood this week so I thought I would post this much over due post for Lasang Pinoy Sundays (LaPiS) since the next topic has not been announced yet. 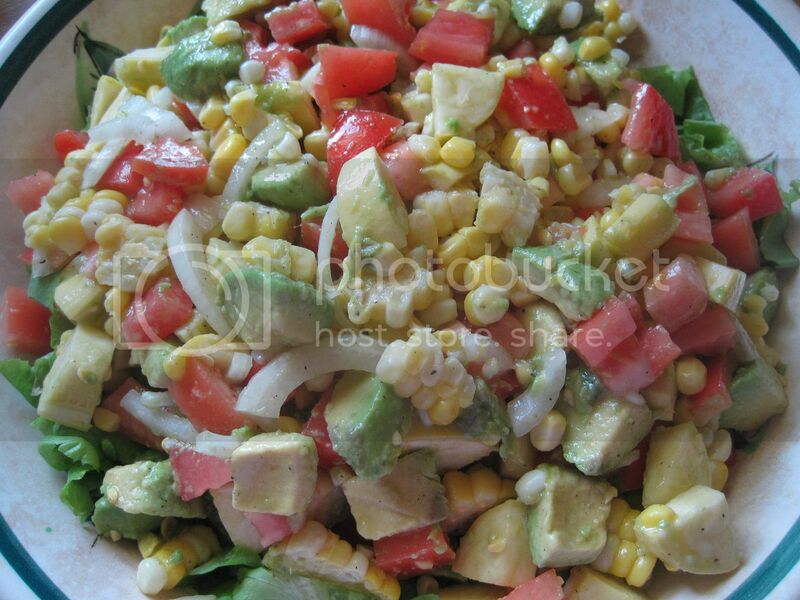 The theme for this Lasang Pinoy Sundays is CORN and it just so happened that I had just made Iska’s CORN, AVOCADO AND TOMATO SALAD with a few additions of my own. Like Iska, I dressed the salad simply with olive oil, lemon juice and a dash of kosher salt and freshly cracked black pepper. It was delicious just as it was but my other daughter has been obsessing with the Asian Salad dressing with toasted sesame seed and so she added some of that to her portion. I must say it was delicious with that dressing too!